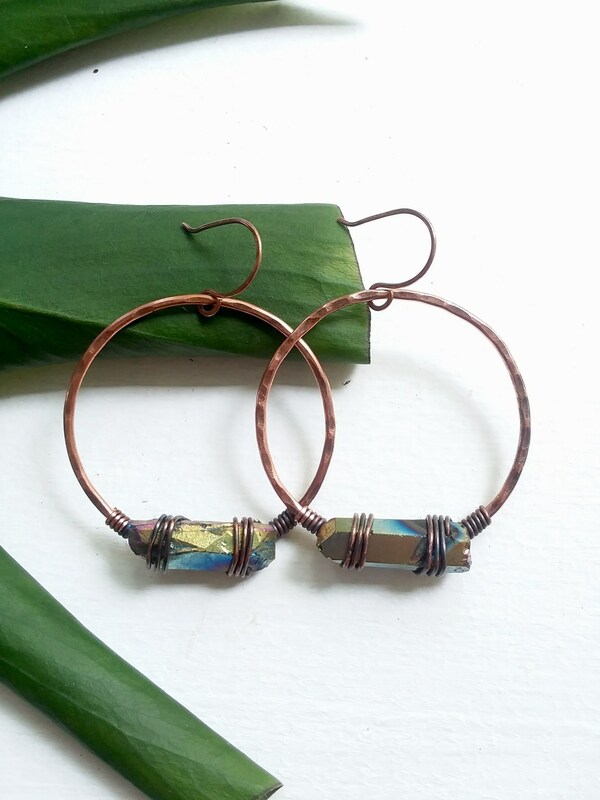 Handmade hammered hoop earrings with a colorful wire wrapped crystal. 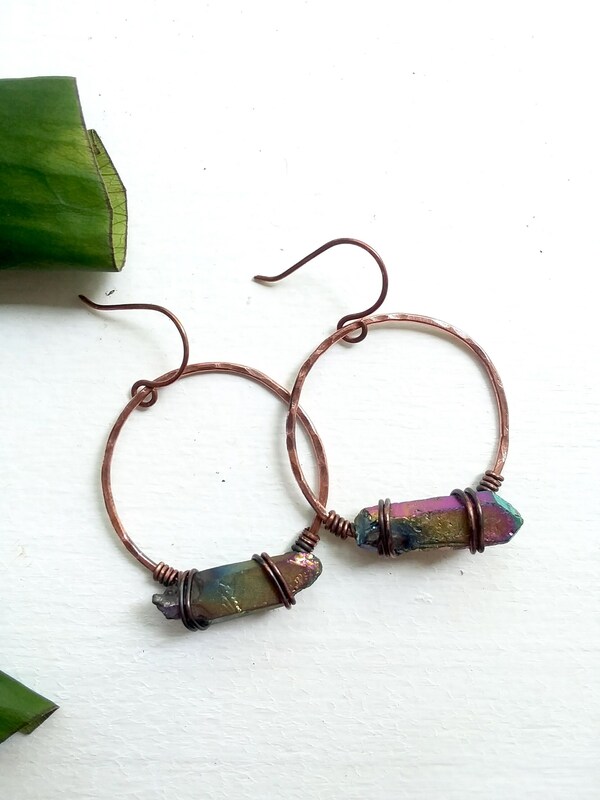 Cute earrings for the boho babes. 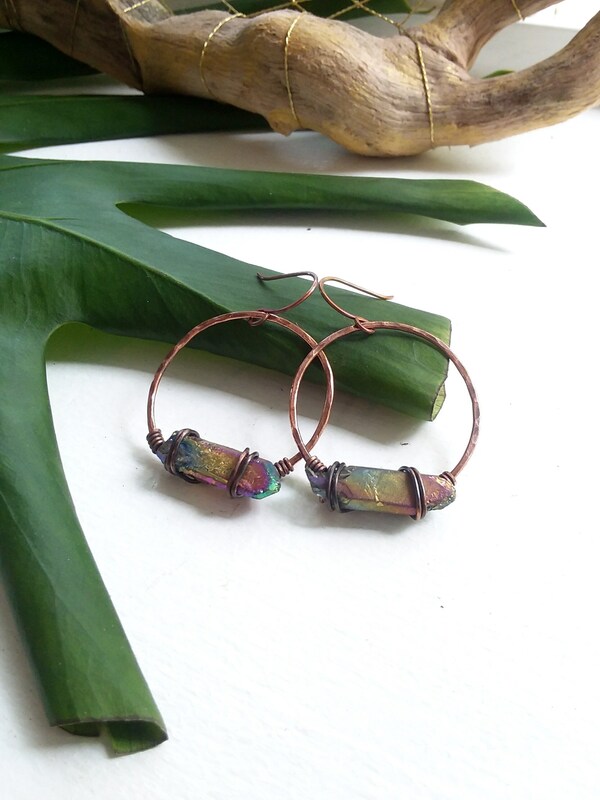 Copper pieces have been oxidized, polished and left unsealed. 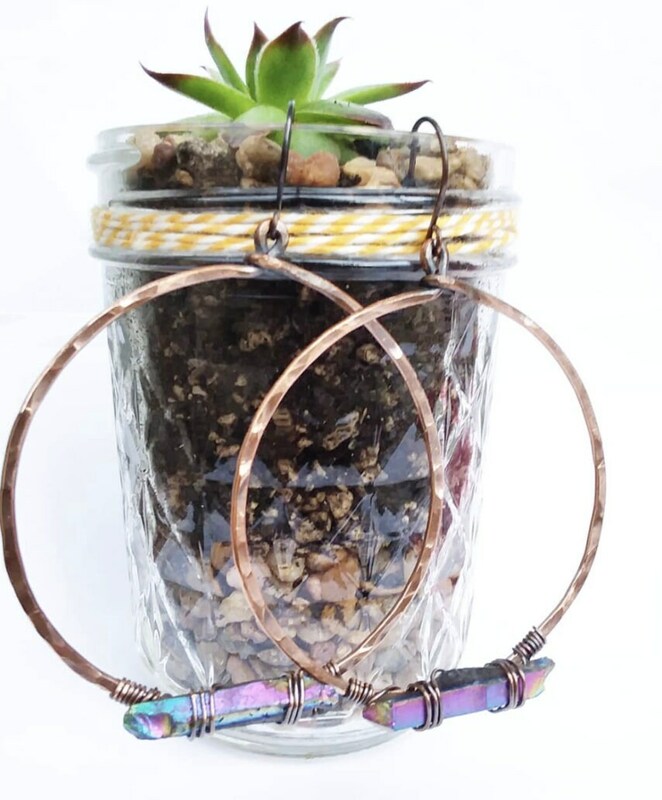 Over time the shine will slowly fade. Polish gently using a jewelry polishing cloth or specialty wadding polish.